You’d be lying if you said you never fantasized about stumbling upon a rare Rolex. We all have – conjuring up scenarios where we unearth one from a jewelry box at a yard sale or scoop one up at an auction. But before you can even dream of getting your hands on one of these valuable pieces, you have to know what you’re looking for. Here we are going to walk you through some of the things that can significantly increase value on vintage Rolex watches. That way, if the situation presents itself, you’ll know if you’re really onto something. The devil (and often the value) is in the details! Notice the Tiffany & Co. marking below the hands? In many cases regarding vintage Rolex watches, the value lies in the dial. Rare dials on vintage references can significantly increase value and earn you big bucks, so this is always the first place you should look. Pay attention to what’s on the dial – do you see something that’s not normally there? 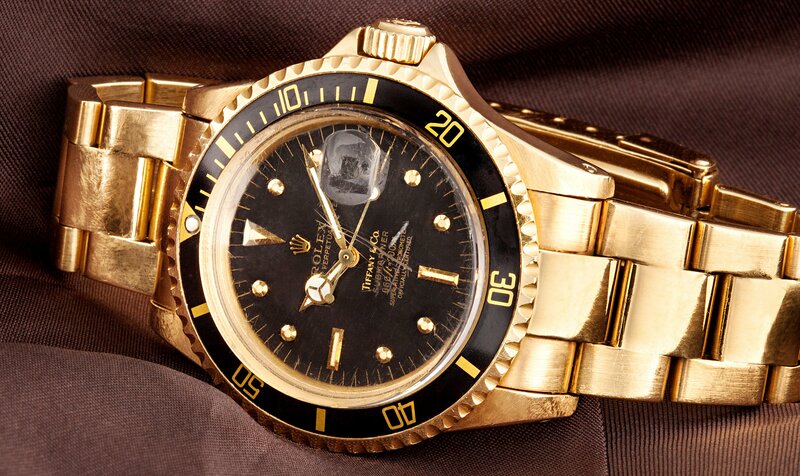 For example, certain Rolex watches were commissioned by other companies, like Tiffany & Co. for example. This simple addition can add serious value to possibly an otherwise normal vintage Rolex reference. This dial that has naturally faded from black to brown is known as a ‘tropical’ dial, and is highly desirable among vintage Rolex collectors. The way dial paint or lume has aged might look old or dirty at first glance; however in many instances, this aging process can considerably increase value on vintage Rolex timepieces. Of course there are the ultra-collectable, ‘tropical’ dials; however another famous example of this desirable aging process comes from a short-lived reference number of ‘Polar’ Explorer II watches, which ran from 1985 to 1989. During the years of the ref. 16550, Rolex actually had an imperfection in their paint mixtures, which turned these once crisp-white dials to a rich creamy color. Today, these patina dials are extremely rare and highly collectable, so next time you see what looks like a dirty dial, give it a second glance! 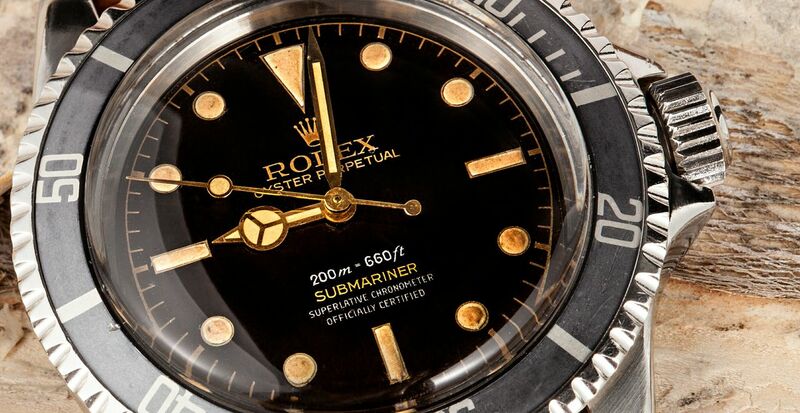 For reference 1680 Submariner watches, a red line of text on the dial can mean big money. You don’t need to know all the years or reference numbers, you just need to know the good ones. If you’re shopping for a Submariner, for example, you’re going to want to know the years of the ref. 1680. During its production run, the Submariner ref. 1680 went through a bunch of dial changes – from the Mark I to Mark VIII. 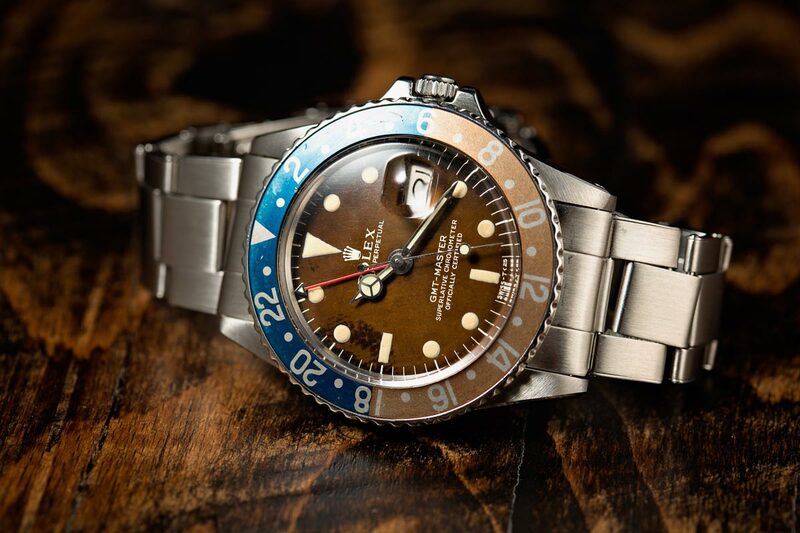 While many Rolex owners discard the original box and paperwork, these items can mean big value when it comes to highly-collectable vintage watches. Watches are a lot like art, in that you want to be able to trace back their line of origin. If you can snag a watch that still has its original box and papers, it’s going to help add authenticity and ownership, and (generally speaking) increase value. That being said, these papers aren’t considered legal documentation, and aren’t required when selling a watch, so it is not a given that they will be included with the watch that you purchase. 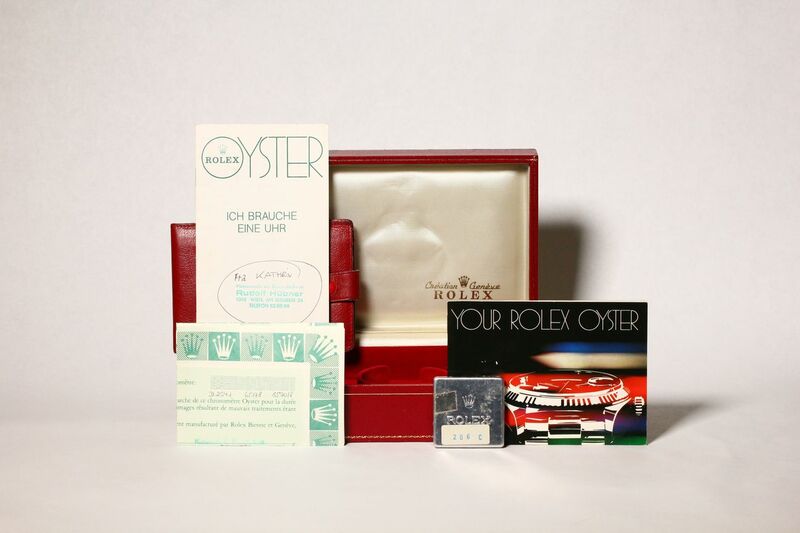 Keep in mind though, that if you can get the original box and papers for a really old vintage watch, it could mean big money. 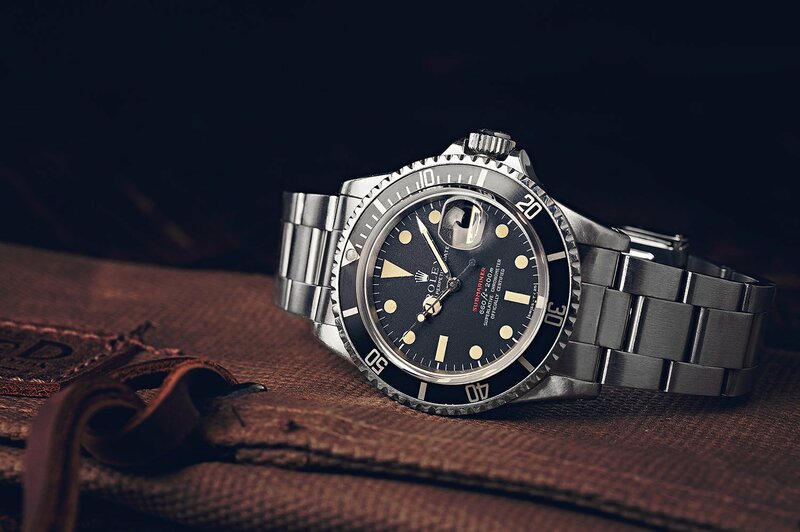 A lot of times, these items are lost as the years go on, so if they are included, it could add some real value – especially if it is a highly-collectable vintage Rolex model. Finding an unpolished vintage Rolex is becoming an increasingly more difficult task – Keep an eye out for crisp bevels on the lugs (like this). In the same way that not all brown dials are tropical dials, there’s a world of difference between a dial that has developed a patina and a dial that has been aged due to moisture damage. There’s also higher value in a Rolex that’s never been polished over the years – although, that can be tricky to find, as many times polishing gets done at the time of a repair or routine service. 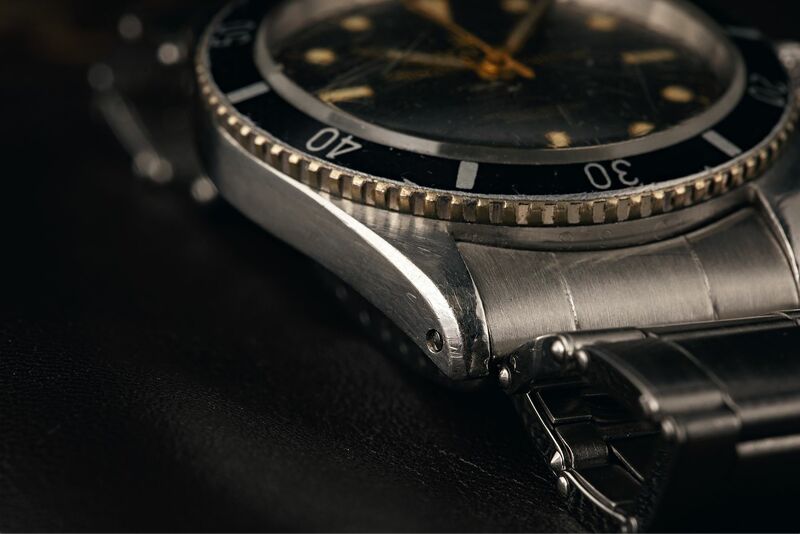 Watches that are in excellent condition – showing minimal tear after years of wear – are going to be worth significantly more than the same watch with more signs of wear and damage. So, when trying to understand the value of a watch, always come back to condition.